Fear not, it is simple to get our service activated on your mobile by calling your network provider and asking them to activate the system on your behalf. 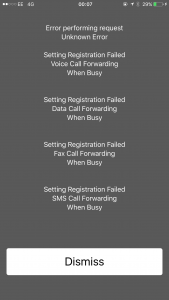 “I want to forward my calls when busy to…….” – and state the 0330 telephone number quoted in your activation email and text message. Job done – the next time you receive a withheld call, just reject it….we’ll then text you the real number of the caller!